What Are The Best Horror Themed Slots Available Online? 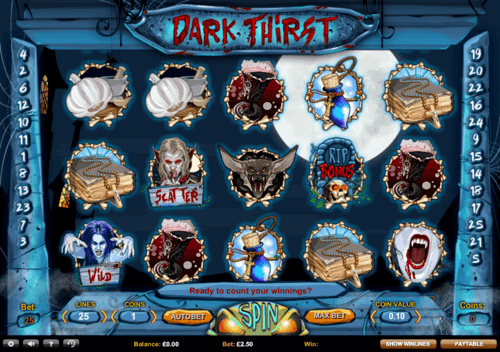 Horror is one of the most popular themes in any form of entertainment, and slot gaming too has seen a high demand for the theme. With many players struggling to find what horror themed slot machines are better, MoneyReels decided to compile the best ones for the reference of the players. Our dedicated staff searched through all available slot libraries online, shortlisted the best ones, and played them extensively in order to rank them. RTP, graphics, prize structure, ease of play, originality, and user experience are among the many factors considered in ranking these slot machines. We hope that you would find this list useful in deciding which slots game to play next. 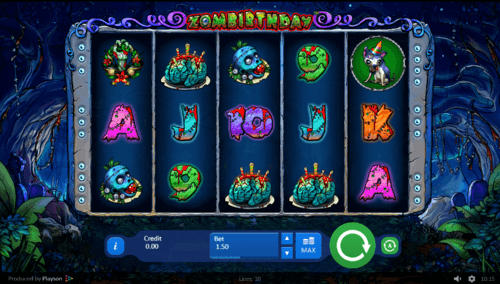 Designed beautifully with impressive colourful graphics, Zombirthday slot machine comes with a Wild with a 2x multiplier, and a Scatter with a 3x multiplier. It has only 10 paylines and an RTP of 95.17%, but the prizes are much more than just simple numbers. The Wild, if you land 5 of them at the max bet, would award you 90,000 coins. Other symbols too are generous but the highlight of this slot machine is the entertainment it carries. The Twisted Circus online slot will award you a win more frequently as it has 243 ways to win, and with a maximum bet of £300 this is the slot machine for the high roller too. The Scatter awards a prize when you land 2 or more of them, and the highest is 3000 coins when you land 5 of them. 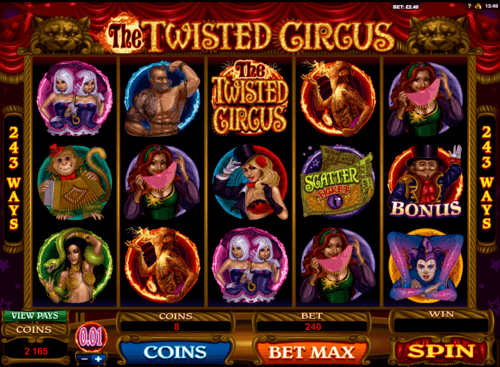 The Twisted Circus slot also has h a Bonus Game coming with a maximum prize of 42,000 coins. This slot machine also has a Wild symbol that has its own prize in addition to replacing other symbols. The vampire story are the basis of Dark Thirst slot machine with 5 reels and 25 paylines would be delightful news for those who love to play this game for the entertainment alone. 4 Random Features, namely Bonus symbols, Headstone symbols, Scatter symbols, Wild, would invite you to play the game again and again but if you are lucky enough there will be 4 Bonus Features that would bring you luck and more prizes. 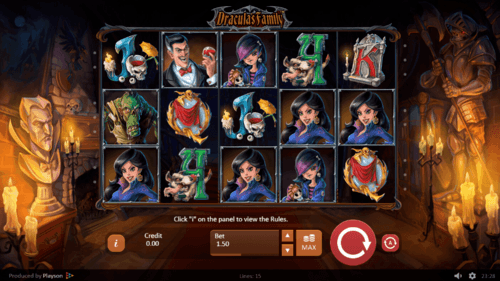 This 5x3 slot machine based on the character of Frankenstein is a fun filled game that comes with some sizable prizes and impressive features. An RTP of 95.02% is rewarding enough in a game like this which is entertainment oriented but with good returns too. There is a maximum bet of £100, but a minimum bet of £0.20 would be great news for the casual player. Fill Frankenstein’s monster meter with electric shocks in the Cash Saw Bonus Trail feature in order to win bigger prizes but when you fill it to the top the Jackpot will be activated. With bronze, silver or gold progressive prizes, Free Spins, and multipliers, this could be the Frank's Freak Spins uk slot you would want to see every day. Enter the Dracula Castle and meet the Dracula's Family slot as they spin on 5 reels to reward you with sizable prizes for your visit. The RTP of 95.55% is a healthy rate considering its impressive prizes and entertainment value. A maximum bet of £300 is there if you want to win big in this 15 payline slot machine that comes with Wilds, Scatters, Progressive Multipliers, and other impressive features. Mad Multiplier, Eternal Love, Wild Whistle-Heads, and Delirious Reels are the 4 Free Spin modes there to bring you luck, but remember if you are lucky enough, 2 reels will turn into Wilds in this Horror themed slot machine.